I grew up in California and can remember all of us kids, wading out at high tide, in a very calm ocean, waist deep, picking up clams from the ocean floor. Others, better equipped, had special clam forks and could dig for clams as the tide went out, but at Pismo Beach clams were plentiful and we did okay. We’d take our harvest back to our mother and she would pound and then deep fry the clams, serving them with her special cocktail sauce. I can still taste them! 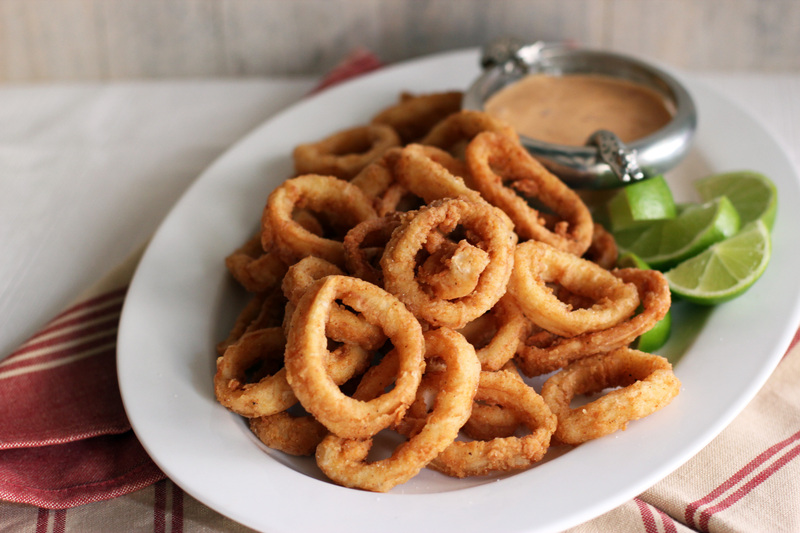 Beat the milk and egg together, add the calamari rings and let sit for 5 minutes. Mix the flour, bread crumbs, garlic powder, paprika, salt and pepper. Dip the rings into the flour mixture and fry until golden brown. 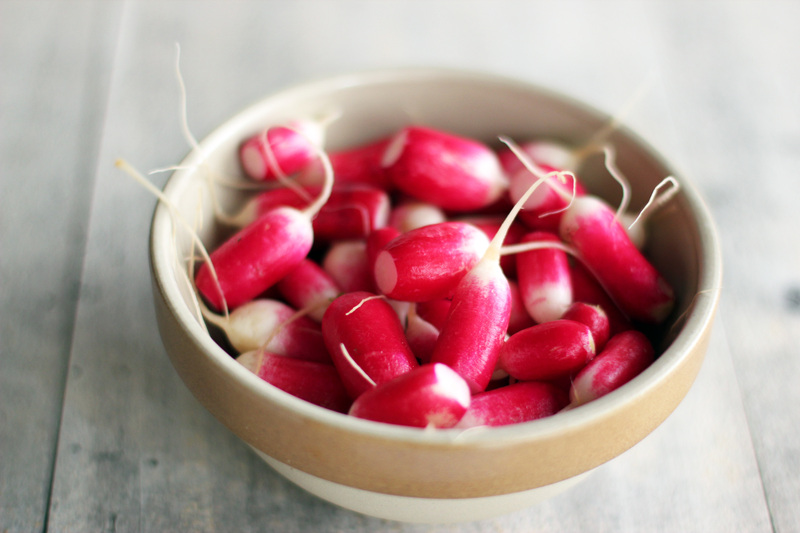 Serve with the chilli lime mayonnaise and some radishes. 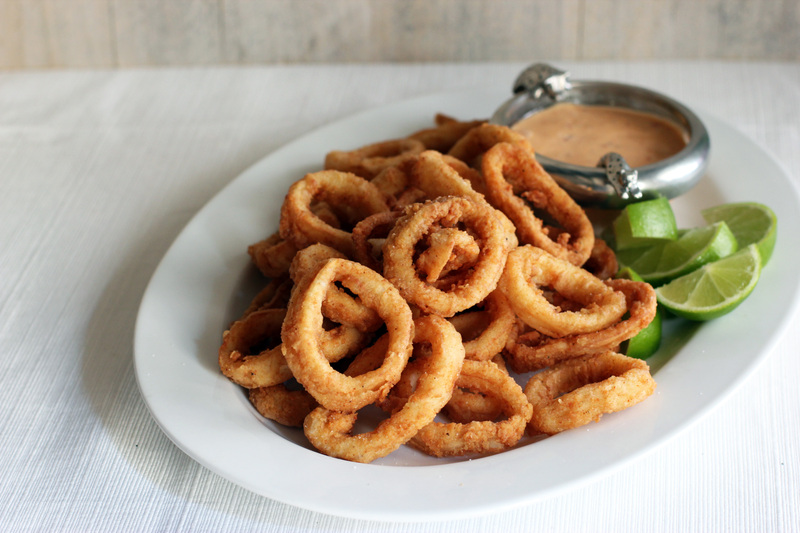 This entry was posted in American, Appetizer, Cooking, fish, Food and Wine, Recipes and tagged calamari, chilli lime sauce, cooking, food, recipes, Seafood. Bookmark the permalink. This has to be one of my all time favourites when done well, these look delicious crispy and salty and the lovely pics have got me drooling. Hi Marcus. Thank you, I don’t like heavy coatings and I think I’ve finally found my favorite; a flour and crunch inducing bread crumb mix. I’ve never tried calamari, but I’d definitely give this a pop – it looks delicious. The dipping sauce sounds especially well suited to the rings. Thank you. Are you on the coast of Wales? Fried calamari has always been a favorite of mine. These photos look mouthwatering. Great post! One of my absolute favorite appetizers. Looks wonderful. I tend to make calamari only once a year, stuff it on Christmas Eve. I love it, it’s just not the easiest to get here. I love calamari. The mayo sounds fabulous! I’m trying to learn about wine. What makes muscadet such a good pairing? I’ve never even heard of that varietal before now. I think my husband bought that for me either in Kenya or Ethiopia. These look delish! I was a huge fan of shellfish before I found out a couple years ago I’m allergic. Calamari is the closest food I can get to my old love. I’ve never made it, but I would love to try! Wow, so simple and yet so impressive! 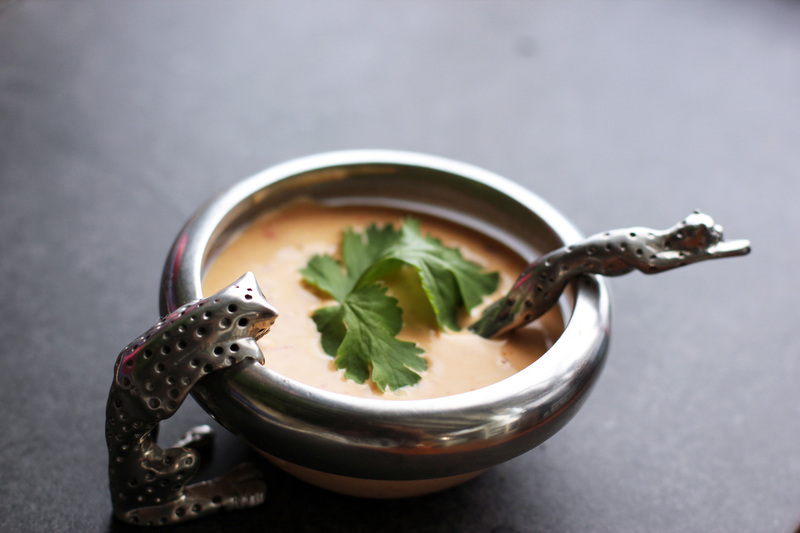 Wow beautiful photos (and that sauce pot is really cute)!